Homeblog Bitcoin vs gold in 2019: how do they compare? To say that Bitcoin and cryptocurrencies have become a buzzword in media over the last several years would be to say nothing. They have completely taken the world by storm in an attempt to redefine the way we relate to money. Bitcoin and other related currencies (more than 4000 of them!) have already made plenty of millionaires and gave rise to plenty of forward-looking startups. The rise of cryptocurrencies have given rise to hopes for a future world without centralized banks and less control over how we spend and what we spend on. But is this future sustainable? How does Bitcoin compare to gold, a precious metal that has retained its worth for thousands of years? In this article, we will discuss the features, value, stability and potential future of both Bitcoin and gold. We will focus on this specific cryptocurrency as it has been, by far, the most influential one – it is widely considered to be the first one to launch and is still strong on the market. But wait, what are cryptocurrencies? ‘But if cryptocurrencies are digital assets, can I cash them out just like on my bank account?’ you may ask. No, cryptocurrencies are an entirely digital asset and can only be used online. 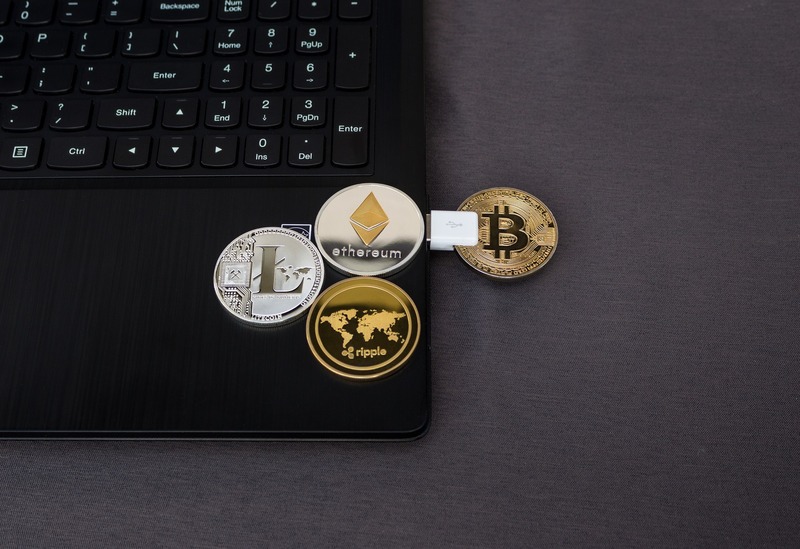 Just like the Internet offers plenty of opportunities for discussions and flow of information from all sides of various spectrums, cryptocurrencies offer the same in terms of value exchange. Their founding principles are anonymity and independence from centralized monetary systems. On paper, cryptocurrencies truly sound like a perfect solution for our increasingly digital world, that’s simultaneously more and more invigilated by the authorities. However promising does that sound, is the reality so beautiful? 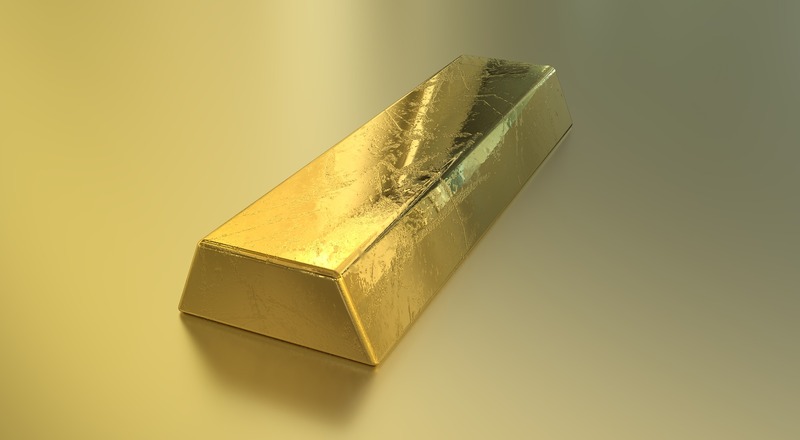 Gold has been around for several millennia and managed to retain its purchasing power throughout this entire period. From the ancient Sumerian and Mesopotamian civilizations to contemporary times, it has always been synonymous with wealth. How does Bitcoin, which has only been out there since 2009, compare to gold? Where should you allocate your investment in order to get the most out of it? First of all, we need to outline the difference between the intrinsic value of gold and speculative value of Bitcoin. The former is a tangible object. You can touch it, smell it, lick it (hey, why would you do that?! ), and take it out to the ‘real world’ to exchange for goods. Gold’s intrinsic value relies on its longtime recognition as a means of payment. It simply is the default precious metal and almost a synonym of money. The second factor that determines its intrinsic value is the difficulty of flooding the market with plenty of new gold, which would deflate the prices. Gold cannot be printed, it has to be dug out and them turned into bars or coins, a process which, unlike money or cryptocurrencies, depends not on a decision of people in charge, but on grit and hard work. Bitcoin, similarly to the US banknotes does not have intrinsic value. How much paper money is worth and produced largely depends on the prices set by relevant authorities based on the amount of goods on the market. The same can be said for virtually any cryptocurrency. In mid-January 2018, it was announced that 80% of all Bitcoins has already been mined and only 4.2 million out of the initial 21 million are left. Once that cap is reached, the price of Bitcoin might increase significantly, as it will only be possible to buy coins, not to mine them. Paying with Bitcoin is becoming increasingly easy. 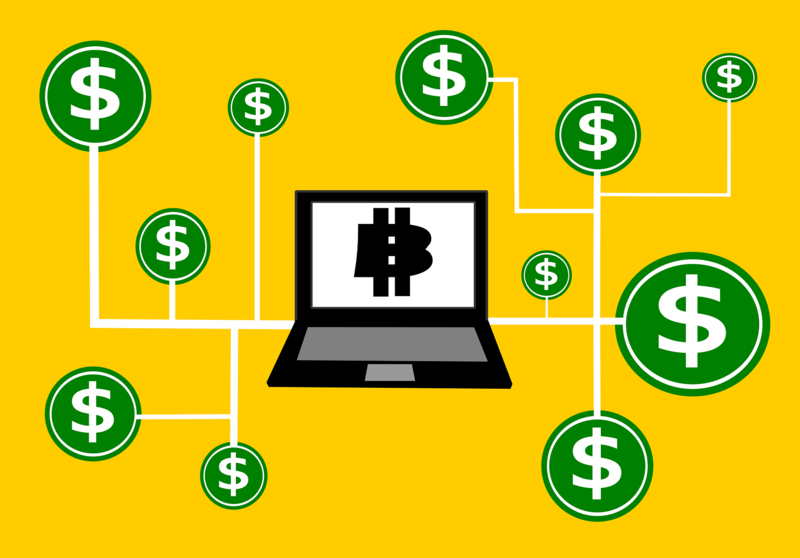 More and more online stores accept Bitcoin as a legitimate way of payment alongside credit or debit cards. The whole process is quite easy and can be done on your phone via apps such as BitPay with use of a virtual Bitcoin wallet. It’s almost like having a bank account and transferring money to pay for goods. Gold is a lot different than Bitcoin. Despite its status as a symbol of wealth, you can’t actually buy anything for it (unless, of course, in a barter transaction). First, you need to exchange it for money. This process can take you anywhere from a trip to your local dealer to waiting for some time to have your gold valued and ranked by a professional service. Back in April 2011, Bitcoin was worth $0.95. After Gawker, a popular media and gossip blog, published an article on June 1st 2011, that linked cryptocurrency’s anonymity with a potential to buy anything off the Internet, the price reached $29.58 on July 1st, only to drop to little more than $3 in December. High fluctuation of prices has been a key part of Bitcoin’s history with the most infamous one having occurred just a bit more than a year ago. In January 2018, after a sudden ascend, which saw Bitcoin skyrocketing from $4.780 in October to an all-time high of $19.498 per BTC, the value of the cryptocurrency dropped almost as abruptly as it has risen just a couple of months before, reaching $4.177 a year after, a state, in which it seems to remain. All this because of South Korean government getting involved over a risk of cryptocurrency-related speculations, a Japanese cryptocurrency exchange shutting down after being hacked and Facebook stopping all crypto-related ads. For most of its existence, Bitcoin’s value has shown an overall rise. However, it has also experienced many periods of sudden increase in value followed by either fluctuations or a drastic drop. That makes Bitcoin an high-risk, but also high-reward currency. Its prices are extremely vulnerable to random events that usually cannot be predicted, which has been evidenced by the debacle in last year’s January. Gold, on the other hand, as we’ve already mentioned, has been in style for several thousand years. Looking at the last century of changes in gold prices, one can see that the price dropped significantly two times. The first one occurred in the 1970s, as a result of a serious political turmoils, weak position of the US dollar, inflation and the oil crisis. The second one happened around 2000-2001 and was caused by an increasing private debt and a tight monetary policy of the US government. These pieces of data indicate that the price of gold experiences significant drops as a result of huge political and monetary changes. These are much more long-term and significant than the shifts that determined Bitcoin’s value drops. While both gold’s and Bitcoin’s value have experienced a rising trend over the years, the significant difference is in how this rise is being distributed. The former, by a simple supply and demand principle, rises and falls every couple of months. The latter, stays relatively stable, unless something happens and the price either goes up or dwindles down. With Bitcoin, the price changes are simply much more random and unexpectable, while gold’s value is influenced by long-term processes and the principles of the market. Ultimately, gold is a safe and secure investment option and Bitcoin is the high-risk, high-reward (but also high-loss) one. The price of gold as of right now (we’re writing this article on March 22nd 2019) is $1,311/ounce. For the last five years, it has been circulating between $1379 and $1060, the highest and lowest point respectively. Since its spectacular drop in mid-2018, Bitcoin seems to enjoy a period of relative stability and slight growth from around $3.500 to $4000 per BTC. What does future hold for Bitcoin? Bitcoin might actually have a bright future ahead of it. While the rocky and random price changes might deter many, Tim Draper, a prominent investor and a billionaire said that ‘everyone would buy their coffee by making their payments in Bitcoin’. Elon Musk also praised Bitcoin claiming it’s the currency of the future that will ultimately replace paper money. Plenty of prominent people in tech, software and finance have predicted Bitcoin’s rise to tens or even thousands of dollars/BTC. It would’ve been easy to dismiss Bitcoin and other cryptocurrencies as a one-time fad that will disappear. Yet, it’s been around for a decade now and, with a constantly rising trend, it is likely to stay and constantly grow. They might not reach the level of market stability gold enjoys, but it surely is exciting. 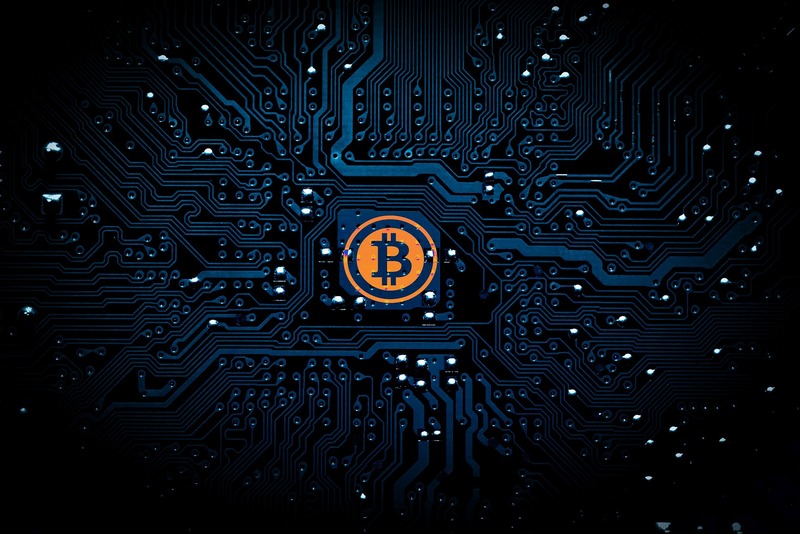 Cryptocurrencies are a product of their times, a bottom-up response to fears and anxieties of authorities’ involvements with our online lives. At the same time, Bitcoin and others are a perfect example of exploiting online spaces to create a product that reflects the needs of the people. Where should you invest your money? Bitcoin or gold? Both present great opportunities, but at different areas. Bitcoin has already shown several times that its price can either skyrocket or dwindle down on a daily basis and because of events that would otherwise have been relatively insignificant. However, it is an extremely promising investment option as one can go to sleep with a thousand dollars worth of Bitcoin and wake up with 10 times more. Gold is secure and reliable. It is not likely it will ever lose its value and while there are times when it’s valued less, gold is always a sound investment. Its drawback, however, is that changes in prices occur rather slowly. Whether you invest in Bitcoin or gold depends on your style. The former will naturally appeal to more adventurous people who are not afraid of risk. Gold, on the other hand, will be the choice for people who enjoy a secure investment that will grow over time.